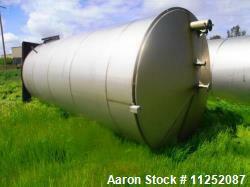 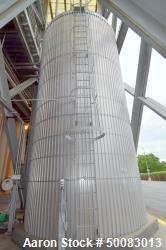 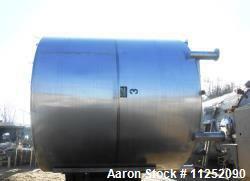 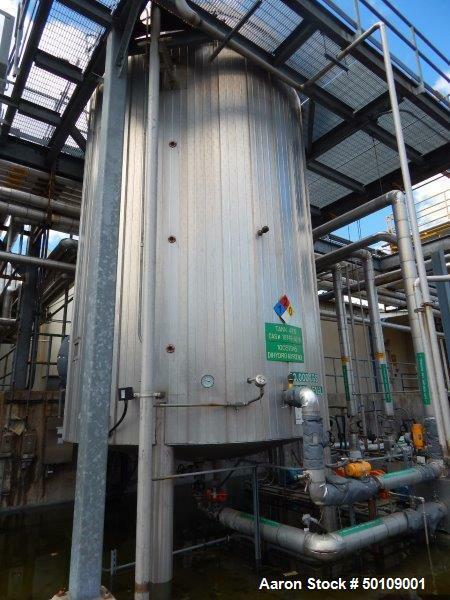 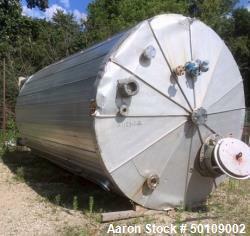 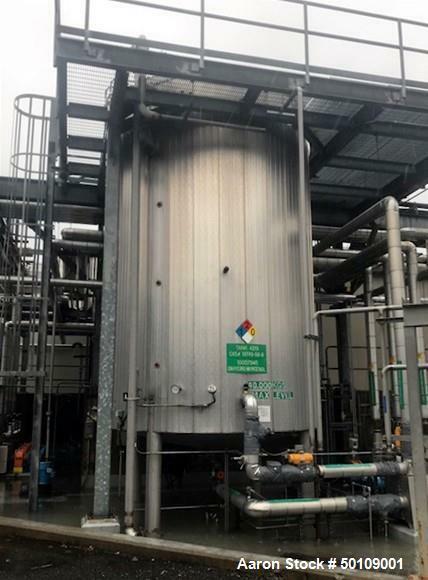 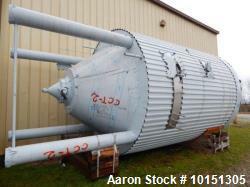 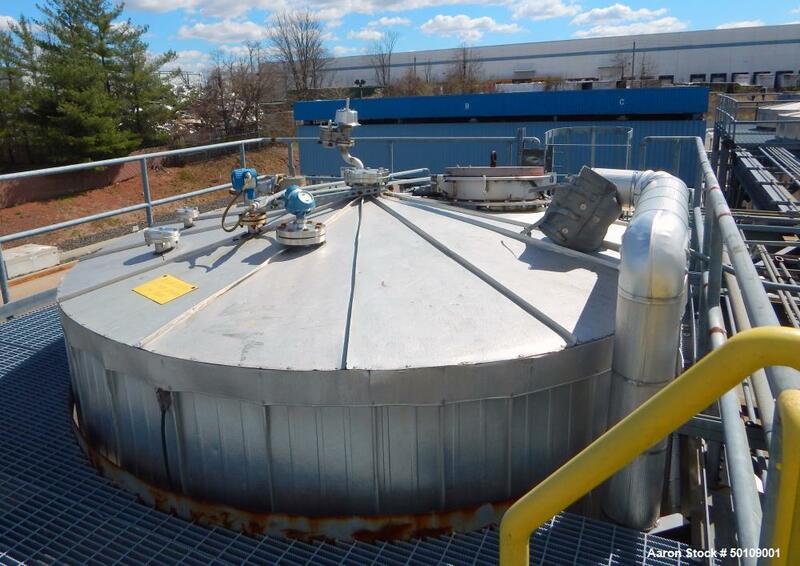 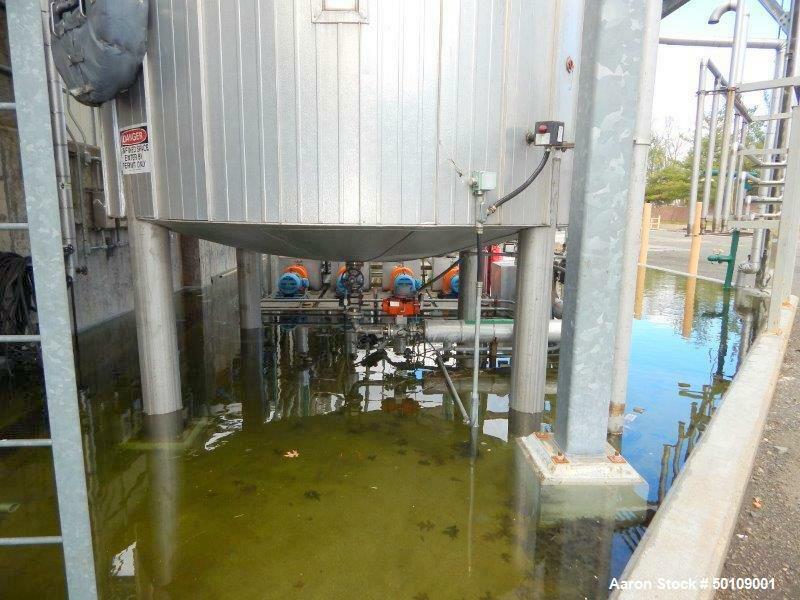 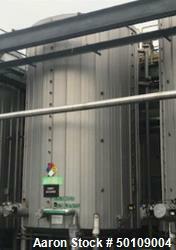 Used- Apache Stainless Equipment Storage Tank, 12,000 Gallon, 304 Stainless Steel, Vertical. 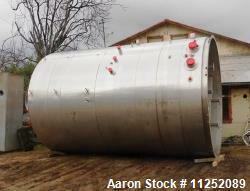 Approximate 132" Diameter x 204" High. 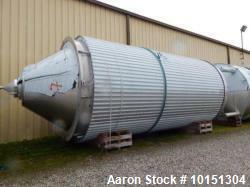 Slight cone top, slight cone bottom. 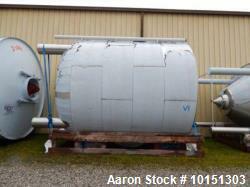 Insulated. 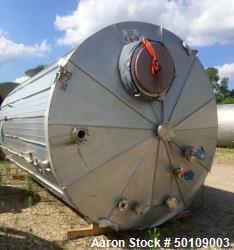 Rated 2.5 PSI at 350 degrees F. Mounted on (4) legs. 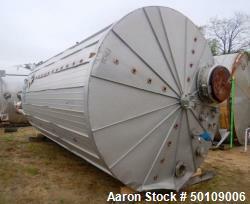 Built 2007.